LAST MONTH, TWO giant pandas from China arrived in Malaysia and made the National Zoo their new home (see article “Pandas arrive in Zoo Negara). Treated as its national treasures, China has extended this “panda diplomacy” to other countries, including the United States, which received its first panda pair back in 1972 after President Nixon’s historic visit to China. 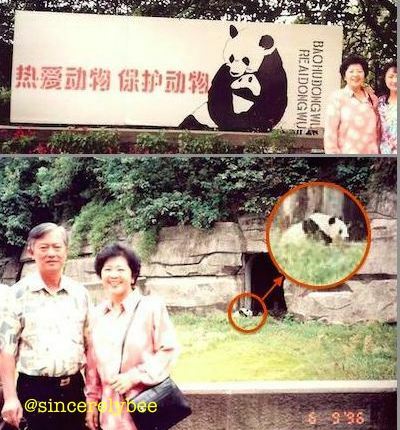 The giant pandas were placed in the National Zoo in Washington DC; the female Ling-Ling lived till 1992 while the male Hsing-Hsing died in November 1999. 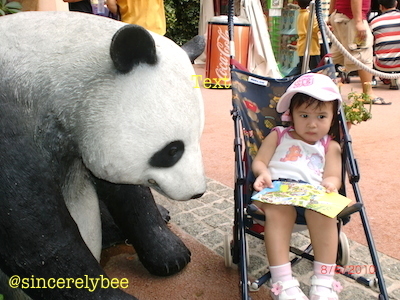 I recall my sister and niece visited us in DC that November and we’d gone to the National Zoo but didn’t get to see Hsing Hsing who was already sick at that time. He was eventually euthanised on 28th November 1999. The pair had bore 5 cubs but none survived. 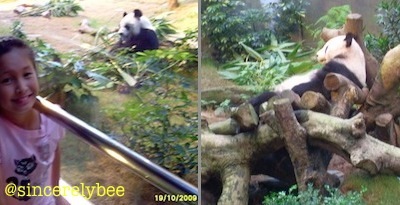 My first encounter with the black and white endangered species was in their homeland of Chengdu, Sichuan province, China with my parents in 1996; and subsequently in Hong Kong’s Ocean Park between 2009-2010. 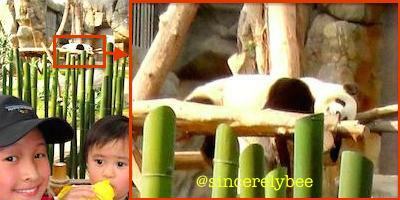 First encounter with pandas in Chengdu, Sichuan, which has a Panda Breeding Research Center. 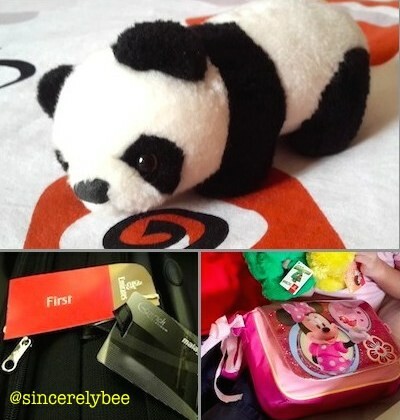 Besides Sichuan, pandas are also found in Shaanxi and Gansu provinces. Where are the pandas? 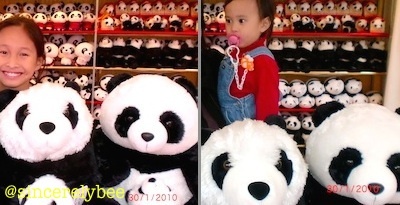 Oh a mere panda mascot and panda soft toys. The girls’ prior visit to Ocean Park in January 2010. 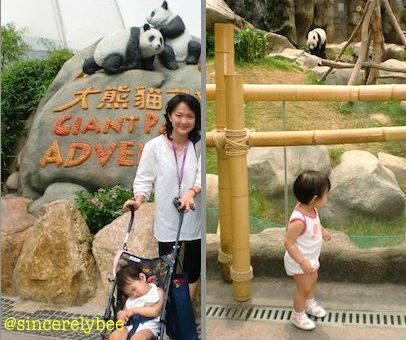 This entry was posted in African Adventures, Heavenly Hong Kong and tagged Accra, China, Hong Kong, Kids, WashingtonDC. Bookmark the permalink.